It was years ago when I first read about momofuku on my favorite foodie site Serious Eats, and it wasn’t until recently during a lunch with my friends Cinny and Dana that I actually had a chance to try it. We were there at the 1st Avenue noodle bar location during lunchtime hours and sat next to the window (glass storefront) at the bar/counter area, it has a really nice atmosphere – although it can get really hot in there. 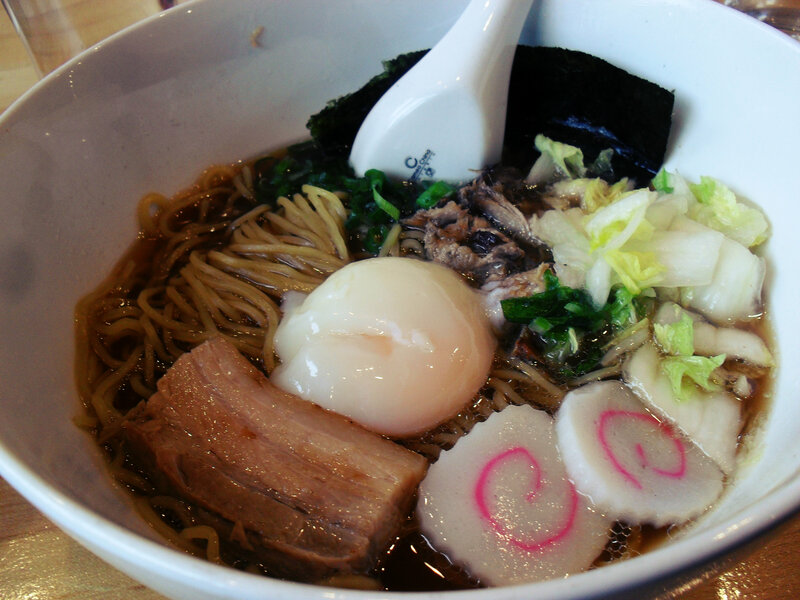 We all three ordered the Momofuku Ramen, which features pork belly, pork shoulder, and a poached egg. Simply put, I loved it. 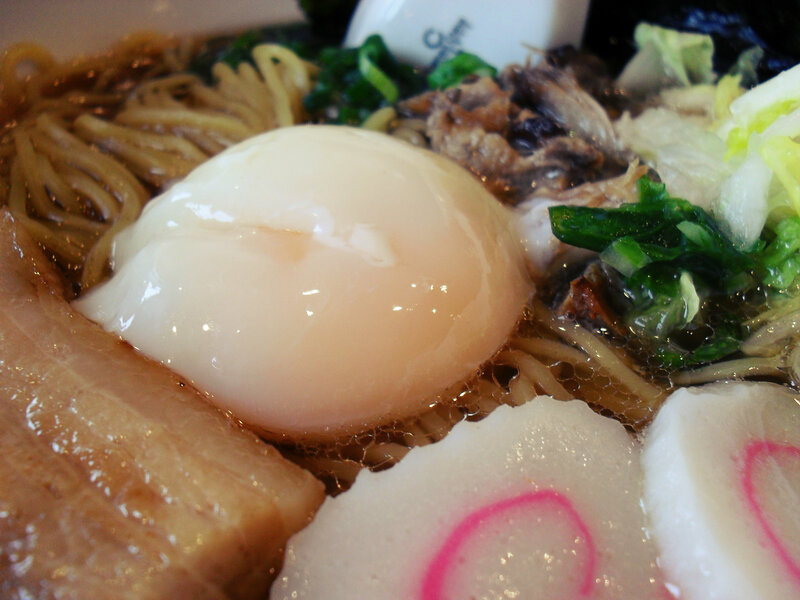 The noodles were perfect and had a great springy consistency, the broth was tasty – if not a little salty, the egg was poached flawlessly, and the pork – I can’t say enough about the pork – it was insanely yummy, I would’ve been happy with a plate of that alone it was so good. The prices are a little steep – but the service was great, and the quality of food was worth it. I know there’s this raging debate among foodies about whether or not momofuku’s noodle bar is worth its weight in noodles, but I didn’t go there expecting fireworks or a luxury gourmet experience, I was just looking for a good lunch to have with friends and that’s exactly what I had. I definitely plan on returning, this time with my brother Shawn who is more of a ramen connoisseur than I am – and I have every intention of trying their famous pork buns. Do you know of any good ramen places in NYC? Let me know in the comments below! Next Post Wildlife & The City, a Safari Review & Giveaway!